There’s nothing more American than the “personal luxury car.” Just the idea that a person is entitled to not just basic transportation, but luxurious accommodations, of their own speaks to the abundance of resources available to American consumers. It’s also a lot of marketing hype: these cars were almost always titanic coupes with remarkably little interior space. They’re put to shame by today’s top choice for solo luxury driving: the prestige-badged German sedan. No German luxury sedan has quite the presence of the Chevrolet Monte Carlo, though. 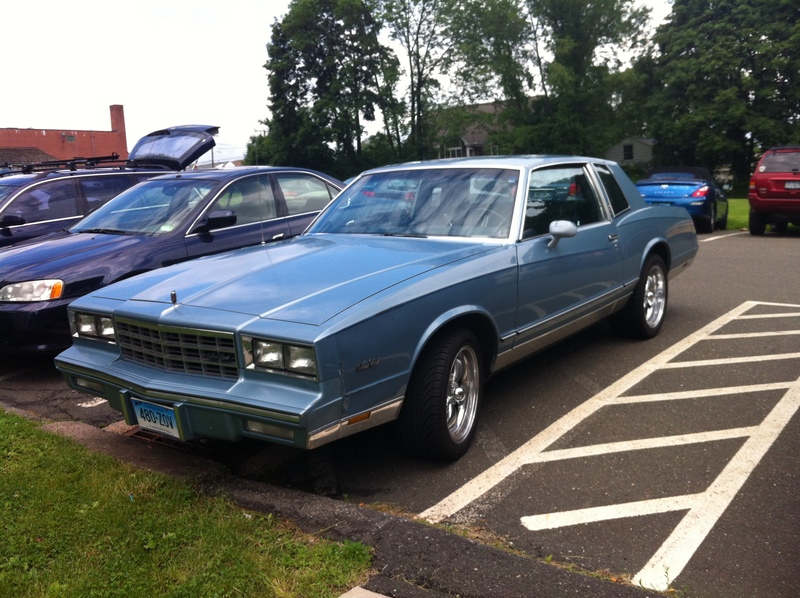 Although it was basically a modified version of other Chevys, it always had a feel and style all its own. 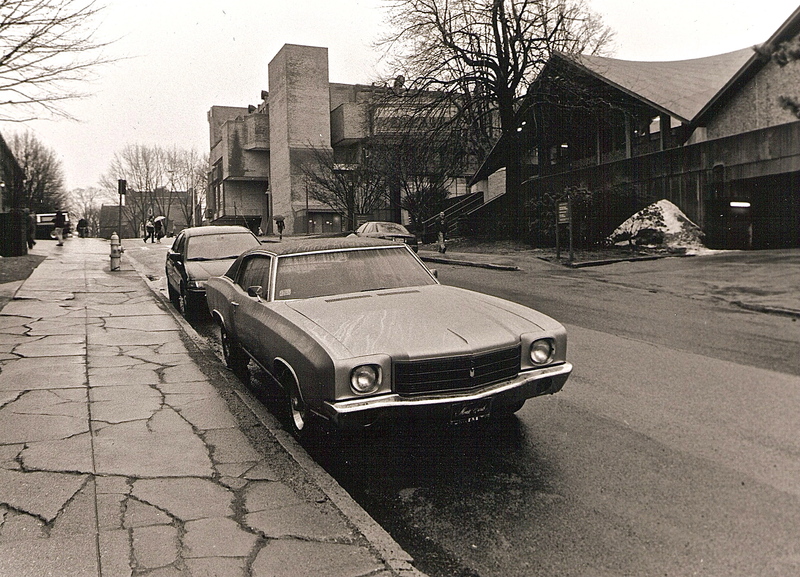 When it was introduced in 1970, the Monte Carlo was just a Chevelle with a stretched wheelbase. Nonetheless, it was considered a step up from its sibling in prestige, and today it’s much rarer, and thus, more interesting. While the 1970 Monte Carlo pictured here was on its way to becoming a classic, things changed. In just 10 years, oil crises and emissions regulations forced Chevy to streamline and downsize its lineup, yielding the fourth generation Monte Carlo. This car looks pretty baroque compared to cleanly-designed original, but its styling was in fact significantly toned down from a decade of ‘70s excess. The car was smaller than before and, with the demise of the Chevelle, took up the mantle of Chevrolet performance. It was dressed up with a NASCAR-inspired front fascia and fastback rear window to cheat wind, becoming the Monte Carlo SS Aerocoupe. These two cars have little in common, yet they wear the same badge. Drivers of the 1970 Monte Carlo probably couldn’t have predicted that their car would look so different ten years down the road, or that it would eventually transition to front-wheel drive and disappear. In the interim, these two cars found new owners: a lucky college freshman who wasn’t alive when his ’70 Monte Carlo was built, and an individual with poor taste in custom wheels. They’ve not only outlived the Monte Carlo name, they’ve outlived the entire concept of personal luxury cars.